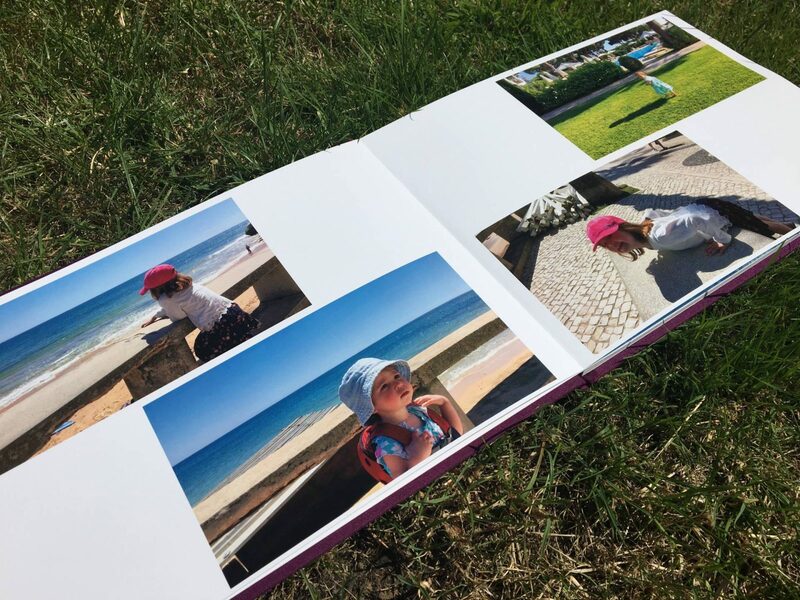 I have always loved taking photos and I have lots of photo albums filled with memories of my life which I like to look back at and now share with my children. 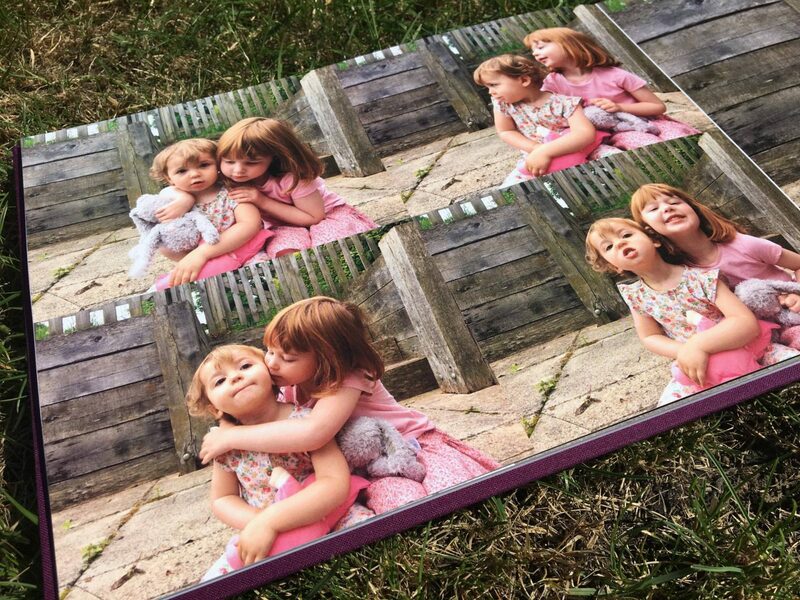 More recently I have found that printing pictures and displaying them just stays on my ever growing ‘To Do’ list and I never quite get round to doing it. 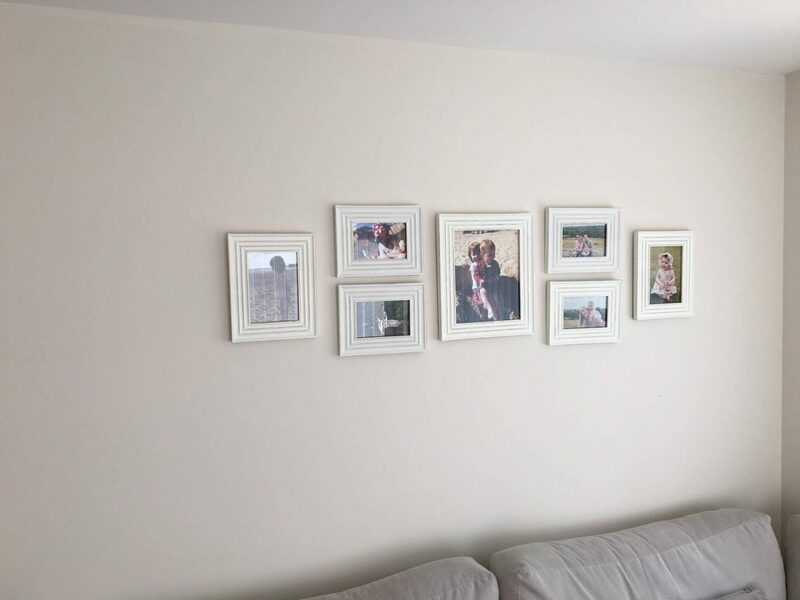 I love to have my house filled with photos of us and to find new ways to display our family memories. Bonusprint want to help you take a picture that you would be proud to print. With cameras on mobile phones being so brilliant now, there is rarely a time when we are without a camera to capture all these moments that will turn into memories. We are turning into a generation that simply uploads photos onto social media and forgets about it. And with 63% of Brits saying they wished they printed more photos we need to get better at doing it. Sometimes I like to let the photos be the main feature. On our main wall in the lounge I brought some cream frames that blend into the wall, allowing the photos to stand out. Then I made a gallery wall with some of my favourite pictures of the girls. Sorry the photos aren’t great, it is so sunny in this room its impossible not to get a reflection. When both my girls were born I did a photo album of their first year. I printed out all the milestone pictures, holidays and moments that really captured their first year. Since then I have not been very good at printing out photos and putting them in albums. 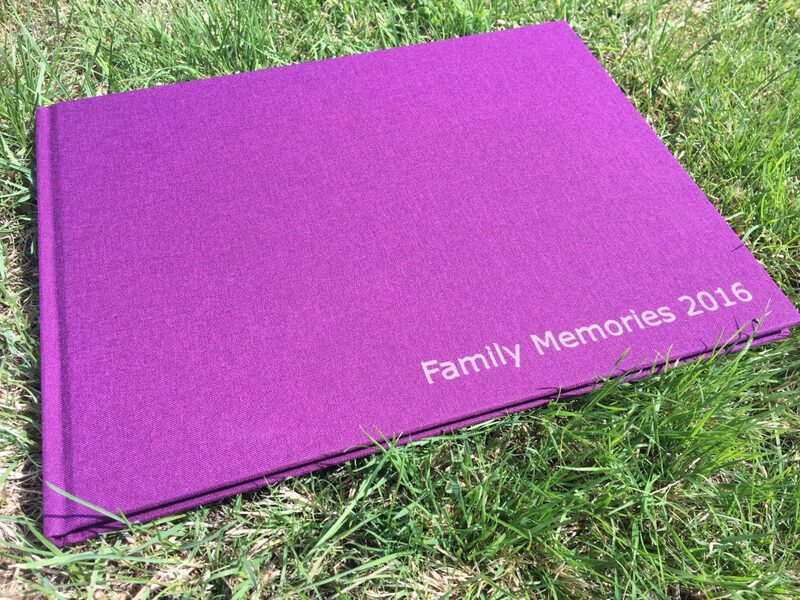 Which is why I loved this idea from Bonusprint to make a photo book, there are lots of different options available. I choose to have a landscape style book and you can select what layout you want for each page. It has such a professional look to it and the cover is linen material. I just know that Andy and I will love looking back over this as the years go by. I will definitely be making this annual thing to do and have our family memories captured every year. You know when you take a photo and it’s not until later when you are scanning through the photos on your phone that you spot it and instantly love it. This is what happened with this photo. The girls and I were on a way up the hill to the castle, I was carrying a heavy bag and Holly decided she couldn’t walk anymore and I had her in my arms. I looked up to see Alice just ahead and quickly snapped away. The result was this beautiful picture of my Alice, I just adore it and I knew it was one that I needed to have on display. I played about with a couple of different options, on a canvas, printed and put in a frame, but they just didn’t seem right for it. 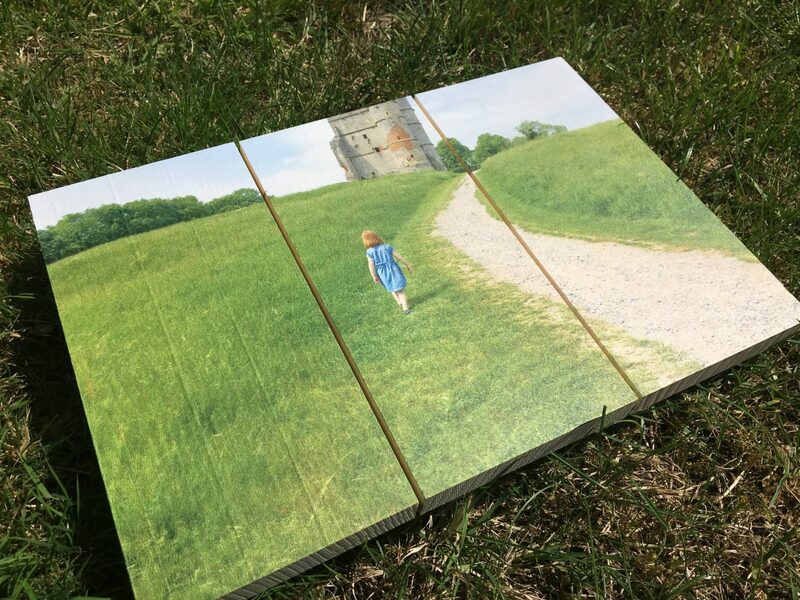 Then I spotted that Bonusprint had a photo on wood option, it was perfect and I love the result. It now sits perfectly on the windowsill in our bedroom. Wait for the golden hour, the first and last hour of sunset. Crop, don’t zoom! Your photos will have a better quality if you don’t zoom and just crop the image. For more helpful tips, you can download their guide here. Disclosure: I was given a voucher to spend at Bonusprint for the purpose of this review. All views and opinions are my own. This looks so lovely! 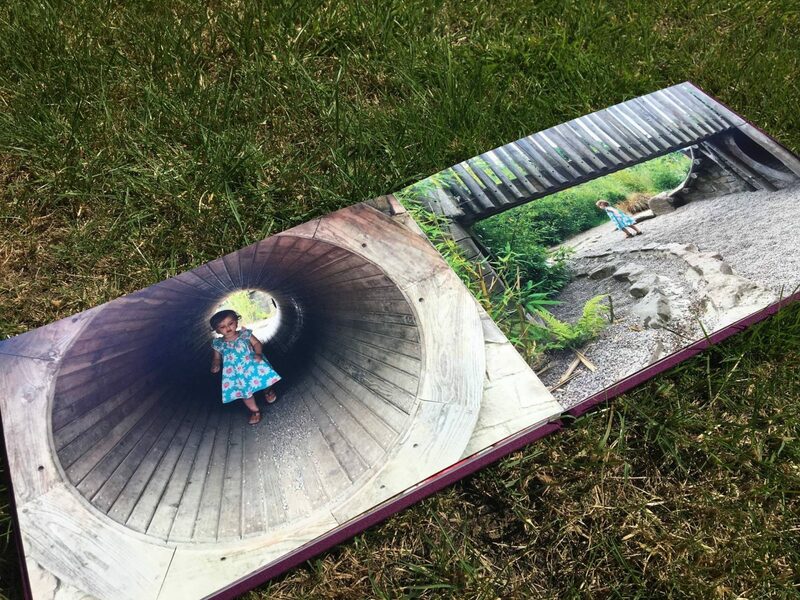 I just love printing pictures onto a picture book. Ive had one from snap fish before and loved it. 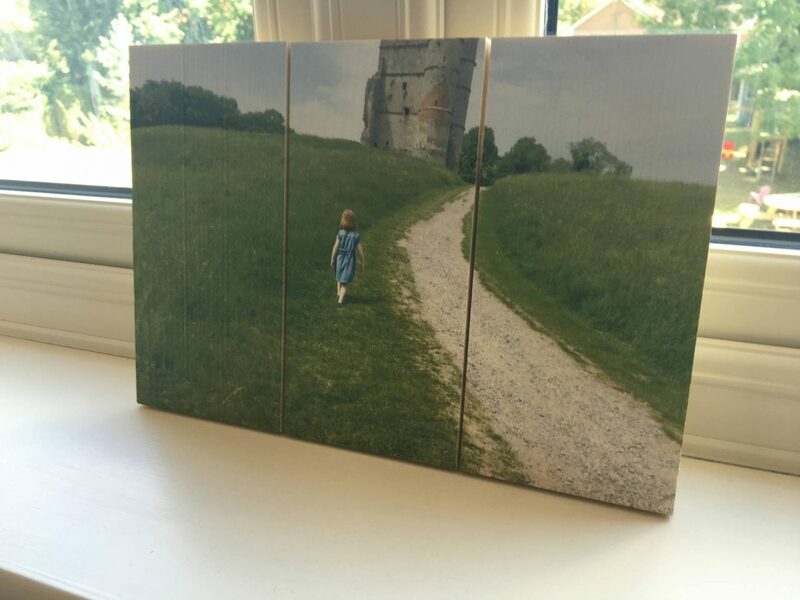 I really like the fact you can have have a photo printed on wood, I’ve never heard of that before but I just love the look of it. Such a beautiful photo you have chosen as well. What a great competition. I totally agree with their key tips but it can be difficult to always abide by them lol. I keep meaning to put some of my photos into a ‘photo book’ but never seem to get around to it. This is just amazing! I love houses full of photos and this is something I want to do myself but for some reason I never do. Great inspiration! I love having photos printed! I have so many photo albums. I need to get Erin’s photos printed from March to now so this prize would be great for me! This is so beautiful. The best photos are usually spontaneous. Gorgeous. I am terrible for never getting photos printed! I love the sound of bonus print and their prints/canvases. I might buy some for myself! Oh that photo by the castle is just amazing! And you’re absolutely right we don’t print off enough photos as a generation – I need to change that, we were talking about printing more earlier today.